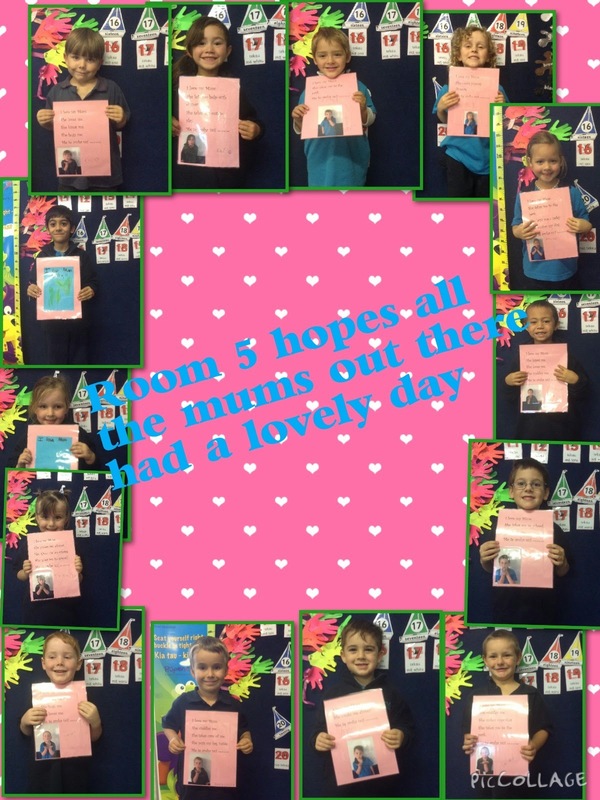 Room 5: Happy Mothers Day to the mums of Room 5. Room 5 has been working on a secret present for their mums. We all wrote what we loved about our mum and then drew a picture of us with our mum and stuck it on the back. We also included a picture of us blowing a kiss to our mums for mothers day. We hope you all enjoyed the present and had a relaxing day yesterday.